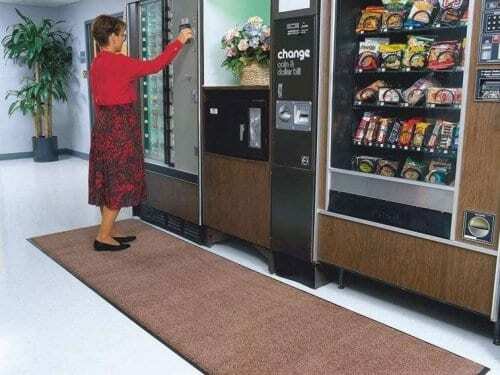 Waterhog Tile Recess Mat installs perfectly into recesses and airlocks. 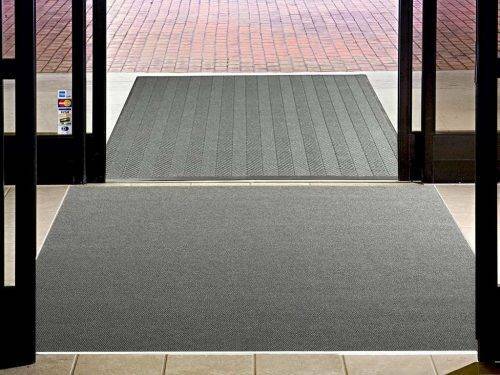 This mat allows for completely customizable formats to match any recess. 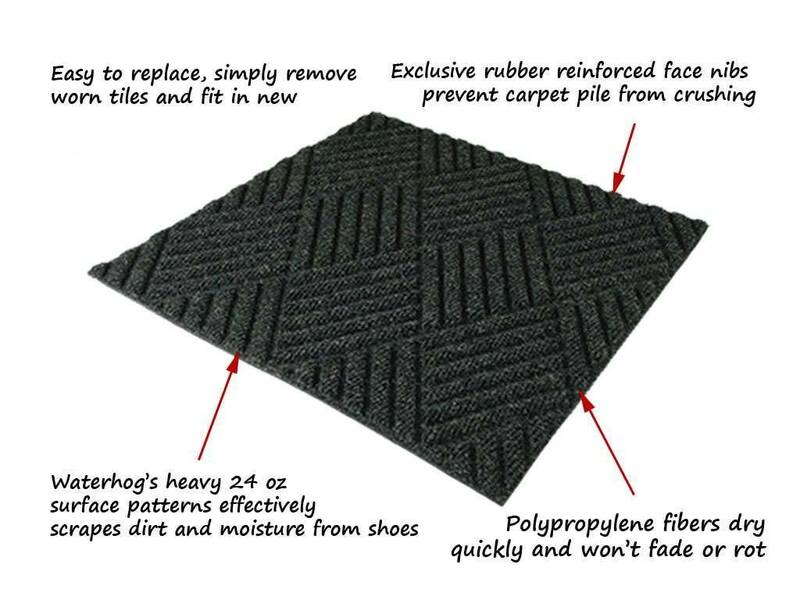 Waterhog Tile Entrance Mat's four unique designs effectively remove and trap dirt and moisture below the surface. Exclusive rubber-reinforced surface pattern prevents the pile from crushing, extending the tiles service life! Hefty 24 oz. per sq. 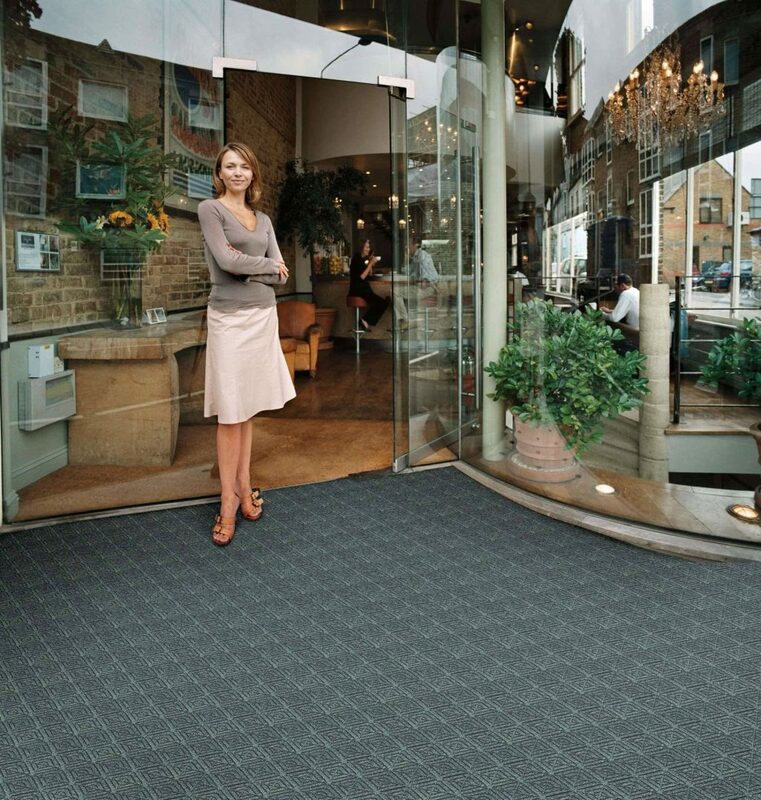 yd., 100% solution-dyed polypropylene carpet will not fade, even in direct sunlight. Available in either 1/4" thick (12 tile / box) or extra heavy 7/16" thick (10 tile / box). 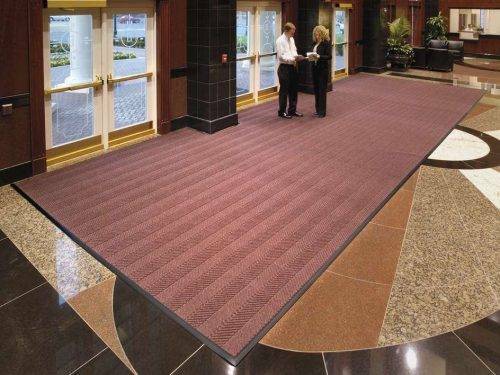 Modular tile design allows easy replacement of worn tiles. Adhesive for installation included in purchase price!